National Museum of Science and Technology NMST published New job vacancy Notice at www.nmst.gov.bd.NMST Job Circular & Application Form also upload on my website. They offer total 08 Vacancy in this post. SSC Or Graduate Student also apply this National Museum of Science and Technology NMST govt circular 2019. National Museum of Science and Technology NMST job circular converted to an image file,so that everyone read easily or download this job circular. If you want to apply for this job,you should submit your application within 30 November 2018. This entry was posted in job results and tagged Govt. 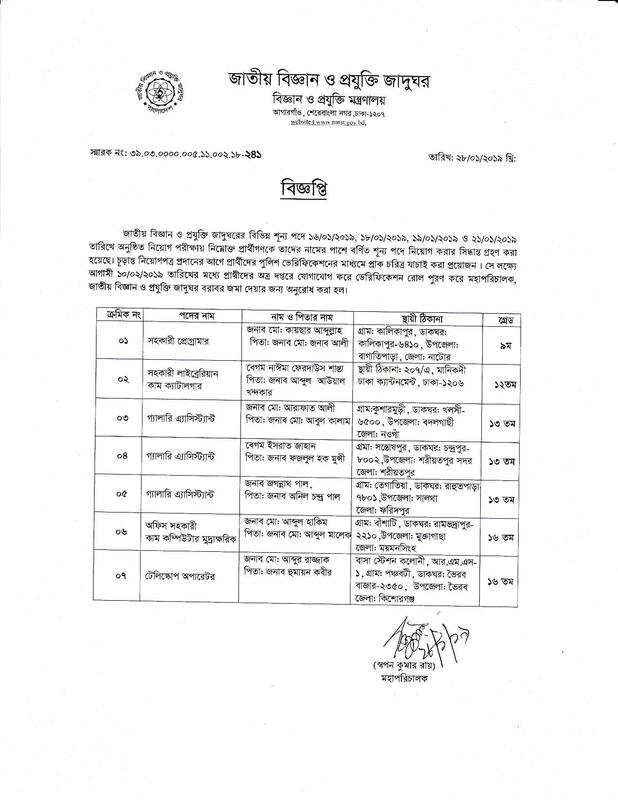 jobs, National Museum of Science & Technology Job Result 2019 – nmst.gov.bd, NMST Job Result 2019, www.nmst.gov.bd by Raju Ahmed. Bookmark the permalink.